The University of Chicago Medicine's kidney transplant program is dedicated to offering the highest level of care. We continue to improve transplant medicine through our research, providing patients with access to the newest therapies and treatments. For people with kidney failure, this surgery typically eliminates the need for dialysis. Patients report increased energy and other positive health changes. We perform both living and deceased donor kidney transplants. For patients who have Type 1 diabetes and significant kidney disease, this operation includes a transplanted kidney and pancreas from the same deceased donor. For many diabetics with kidney failure, this procedure provides the greatest hope for a life without dialysis or insulin injections. Meet our expert kidney transplant team. Thinking of becoming a kidney donor? Learn more. What to expect before, during and after your kidney transplant surgery. We help our patients be as prepared as possible throughout their transplant experience. A kidney transplant coordinator works with each patient to schedule appointments and provide support before and after surgery. The transplant coordinator serves as your personal advocate and is always there to address any questions or concerns. We encourage patients to discuss questions about their treatment plan. Our team will be available to advise patients on all aspects of their care, including tests, procedures, medications, diet and lifestyle. When you come to UChicago Medicine, you can be confident you will receive the highest level of kidney care. Each of our experienced physicians, nurses and other health care professionals is dedicated to your well-being. 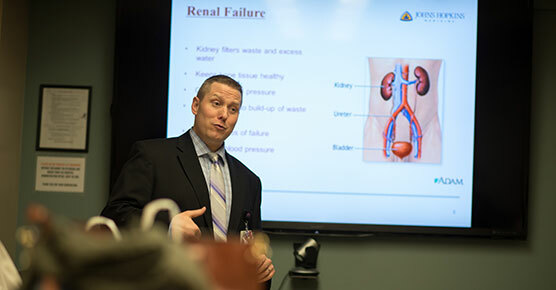 Our physician-scientists are conducting leading-edge research in kidney transplant care. For example, our physicians have been investigating why transplant patients are at increased risk for losing organs from the common polyoma virus. They are at the forefront of developing new methods for treating the virus, which keeps patients healthier. Before and after your transplant, you have access to hundreds of knowledgeable experts. Our kidney transplant surgeons work side-by-side with leading kidney and diabetes experts on our endocrinology team. 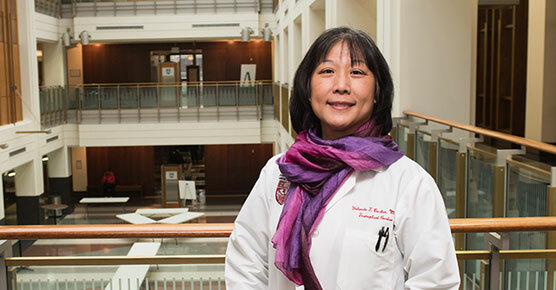 UChicago Medicine is also home to top experts in other kidney diseases, including systemic lupus erythematosus and primary glomerular diseases. We perform a large number of transplants and we are dedicated to every one of our patients. During the months leading up to a transplant surgery, each patient is assigned to a transplant coordinator or a registered nurse with a special expertise in transplant care. Your transplant coordinator will arrange all of your tests and consultations. Your coordinator serves as your personal advocate and is always there to address any questions or concerns. We follow patients very carefully after transplant. All patients visit our post-transplant clinic for regular check ups. In between visits, patients can always reach one of our post-transplant nurses by phone or page — any time, day or night. In the U. S. there are simply not enough organs available for kidney transplant. To help correct this deficiency, we have made major efforts on several fronts to increase the number of available organs. We are helping more patients find appropriate living kidney donors. Improvements in anti-rejection therapies now allow kidney transplants to occur between unrelated individuals. We are also working diligently to increase the number of organs from deceased donors that are available for transplant. For example, we regularly use a special perfusion pump to rehabilitate deceased donor kidneys that may not have been usable in the past. UChicago Medicine kidney transplant surgeons and physicians have a high level of expertise and commonly take on patients who may be considered too risky for transplantation — saving or enhancing many lives each year. 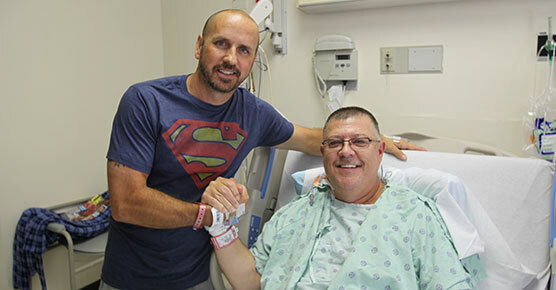 Recently, we’ve performed an increasing number of re-transplants on patients who received organs in the past. Kidney retransplantation patients require more careful management than first-time patients. Our transplant surgeons regularly perform laparoscopic (minimally invasive) kidney donor surgeries. Because of their high level of experience, they are able to perform this operation on donors who are considered higher-risk because of previous surgeries or other medical problems, such as obesity. Typically, living kidney donors are out of the hospital in two days and are often back to work in two to three weeks.